Welcome to our website ! If you are tired of buying spare parts that DO NOT work and / or do not fit your "U-R's" / applications .... Here you will find Quality Spare Parts that DO WORK - every time, "ALL the times"! ...Not convinced ?... JUST give us a CALL NOW for FREE samples! NEW customers : 25% OFF on their very FIRST Parts order with us ... see details below, or call. Complete Universal Receiver shown with a "Yoke" on top. "Ulysses Machine Company" has earned the name of "The Home of the Universal Receiver", because we are known as manufacturing the BEST "Universal Receiver" and all the spare parts for it. Buying from us, is Buying the Best. 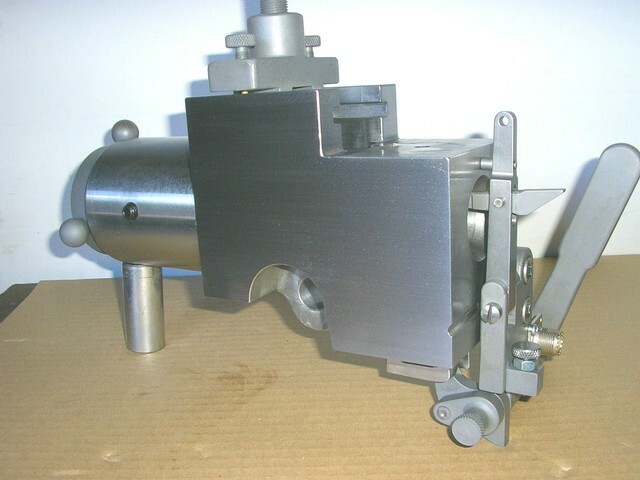 We stock ALL Spare Parts for the "Universal Receiver", for same day shipping .... if you need parts in your hands tomorrow in the A.M. hours, you just give us call or send us an email, or send us a Fax... and we will ship to you same day, from our complete Parts-stock. Our "Universal Receivers" and Spare Parts are known for their Precision, Quality, Dependability & Workmanship. Returning customers do return to us as they count on the Quality of our products and the dependability of our service. "Whirlwind Twisters", "Ring Twisters", "Wardwell Braiders", "Herzog Braiders", "Haskell & Dawes" Formers / Layers. (For these Parts, please click on the "Products" menu above). Plus: 25% OFF plus free shipping on your very first "Universal Receiver" (continental USA-only, spare parts only) order with us, up to $ 1,000.00 of total sale, and you will save up-to $ 250.00 no kidding...just call us ! Note: Ulysses Machine Company is an Independent company, and does NOT associate NOR represent any other manufacturer of machines or spare parts whatsoever.